Even if you are working from a home-based office or a start-up; your business is never too small for a virtual office. A virtual office is your smart solution to expand your business and have a physical presence. A virtual address is great for the impression of the stability of an established office location. Present a professional and successful image and enjoy the efficiencies of an office with concierge services, virtual address, access to meeting room hire and more. Your business has the impression a commercial office with all of the services at a small fraction of the expense and commitment of an actual office. 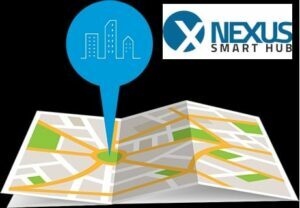 Use the Nexus Mail Box Services for business registration, google maps, business cards, email signature as well as physical address for mail and parcels. You will be notified whenever there is mail or parcels here to be collected or we can promptly forward all your mail. We’ll also sign for packages and hold them on your behalf. Additionally, if you wish you can set up Nexus Virtual Signage. For an extra level of credibility and professionalism, we include your company name to the Reception directory board. Please contact us to arrange these services.